The well known area of Brittany is famous for its gastronomic heritage. Over time this area of France has forged a name for itself, creating some of the world’s most delicious cuisine and lifestyles. Fortunately for us, Emilien Lesourd and Vincent Couvreur decided that the historic area of Spitalfields in London needed an injection of this wonderful Breton cuisine in the form of a small, beautiful looking crêperie. The name translates as friend (L’Ami) and Malo, a nod to Saint-Malo the town where crêpes are so celebrated. We found it tucked down a small street close to the heart of Spitalfields Market, packed with Friday evening revellers enjoying a drink on a warm May’s evening. It’s a quaint glass fronted restaurant that fits will in the tight enclosed street. Inside we’re greeted by our smiley waitress and a huge vintage wooden cashiers till that’s a feature unto itself. We’re ushered to the back of the restaurant and our table for the evening. You can also sit at the front, next to the glass frontage and take advantage of prime people watching territory if you so wish. 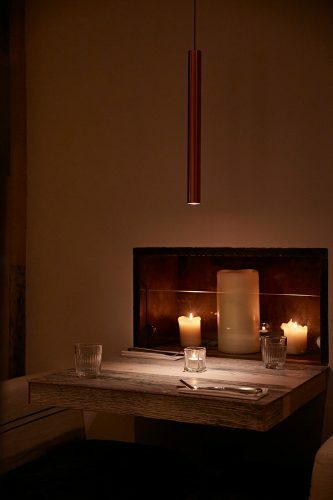 Our table nestles in a nook in the wall – almost a private area of the restaurant, dimly lit by just a cool copper pendant and a candle. Next to us is the open kitchen where we can see and smell really great looking dishes being sent off to the restaurant’s patrons. We’re envious of them, so quickly stick our noses in the menu to see what we fancy. Well it’s not an easy decision as it’s a packed list with many great sounding dishes. Our waitress comes over and we pick her brains. Some decision making help is clearly needed, so we order some drinks to help us. I order a cider and without doubt, it’s the best cider I’ve ever had. Cider Bouché Berton Brut. A dry type but very palatable. I will definitely be sourcing this again in the future – it’s perfect for any summer’s evening. When our starters arrive we’re still enjoying the ambient atmosphere of the small establishment. Roscoff Onion Tart and Avocado Maki Rolls are bought ceremoniosly to our table. Just as the dishes that were leaving the kitchen earlier, these too are very well presented. 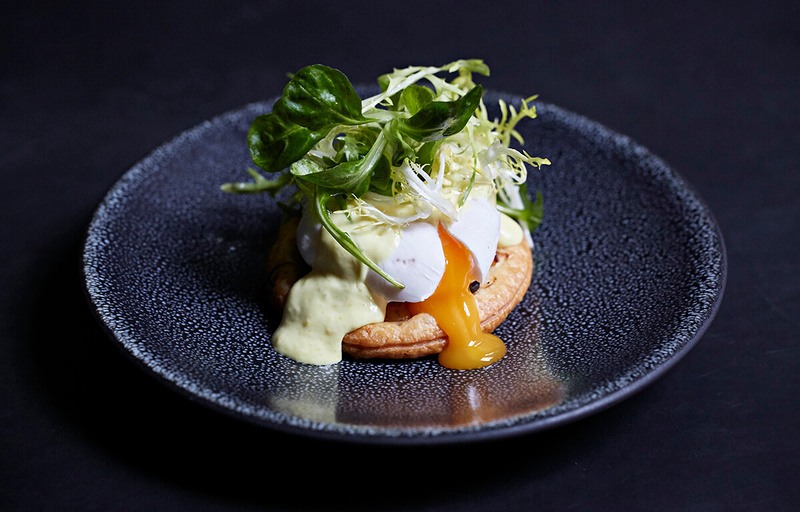 The cider hollandaise sets the poached egg beautifully with the crispness of the onion tart and the Maki rolls are great for a picture – and then quickly disappear. We mix up our drinks ready for our mains, deciding on a house red that’s not too deep for the Duck Confit and a crisp fruity white for the Goat’ Cheese (Breton) Galette. L’Ami Malo’s unique focus is on these savoury pancakes made of buckwheat that is so popular through Brittany’s gastronomy. They bring with it the added bonus of being gluten free. This particular version certainly doesn’t disappoint in appearance nor taste and texture. The Duck Confit is served with red cabbage, broccoli and red wine. Oh and lest we forget, a caramelised pear that gives a wonderful sweetness to the duck. When we reach dessert time, true to form the menu puts in a great effort in making deciding testing – There’s a great selection. However, we’re agreed on how can we pass up this opportunity to come to a French crêperie and pass on the Crêpe Suzette. Caramelised sugar and butter is always a winner, especially when you mix in a dash of Cointreau and tangerine zest. That’s our decision made and it turns out to be the best decision of the night. 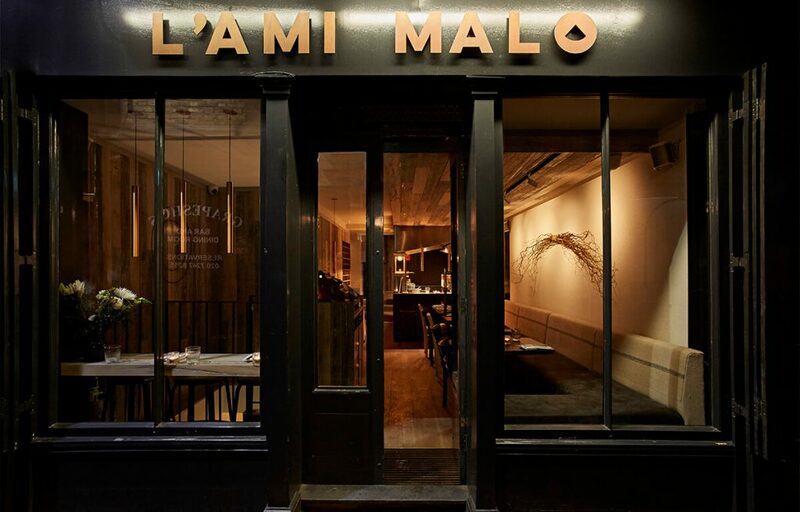 L’Ami Malo is a refreshingly different restaurant in London. The food is light and flavoursome. The decor cool and dark, but not oppressively so. Although a small crêperie it feels comfortable and relaxing. There’s a basement area too that seats up to 20 diners and can be reserved for private functions. When we fancy a little fancy, we’ll come back. It’s certainly worth the visit.